Hello again! And welcome to the book of Joshua. Today’s story is from the opening 5 chapters of the book of Joshua. Moses had died and left Joshua in charge of the Israelites (God’s chosen people). They were completing their 40 years in the desert and getting ready to enter the land God had promised them. They came to a place called Jericho. Jericho was a strong city surrounded by a HUGE wall. The Israelites were supposed to take over this land, but they were once again scared. They talked about going back to Egypt, or finding a different way to go. Joshua reminded the people that God had led them here and He would help them. Joshua prayed (talked) to God and God sent an angel who told him what to do. He told Joshua and the people of Israel to march around the city one time for 6 days. 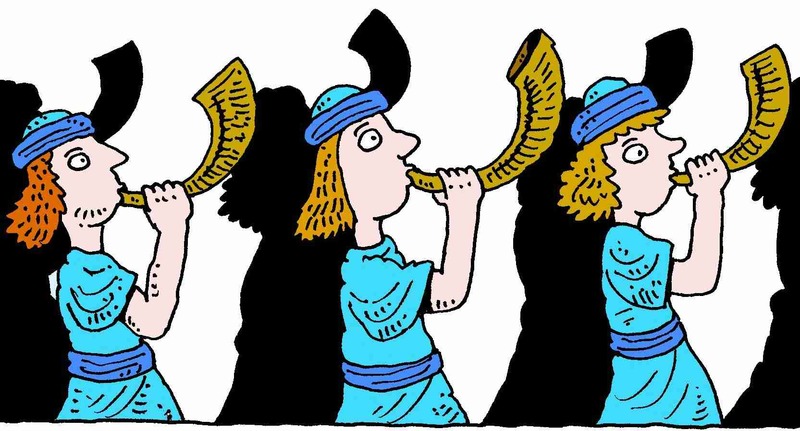 The priests were to carry trumpets and the ark of the covenant and on the 7th day, all the people would march around the city 7 times and the priests would blow the trumpets. Then everyone would shout really loudly and the walls would fall down. Doesn’t that sound kind of silly? The Israelites obeyed though. They marched around the city one time for 6 days and on the 7th day, they marched around 7 times. Then Joshua told the people “Shout! God has given us this land!” The people shouted and the walls fell down. The Israelites ran in and took over the city, defeating all the people who lived there. It seems like a funny way for God to knock a big wall down. God didn’t tell them to use rocks, or sticks or to kick it down…He only told them to obey…and HE would knock the wall down. When they obeyed and shouted, HE knocked the wall down and gave the city to His people. Another great activity for this story is to act out the story with blocks and figurines. Duplos, magnet tiles, big cardboard blocks…and any little toys like happy meal toys, fisher price little people…any little characters you have at your house. Next > The sun stood still!